One Level Condo Living has the space of three bedrooms (one is being used as a den) and more room than most single family homes. This is luxury living at its finest! Located in the heart of Pikesville close to your favorite "Gucci Giant" also on Old Court Rd. With over 2600 square feet of open living space, there is no reason to downsize. You can "rightsize" for your needs. There are no steps to maneuver and you have wonderful bright windows everywhere. There is easy access to the massive terrace from the spacious master bedroom and the large living areas. You can truly live in style in this full service building with receptionist, doorman, and underground garage parking! Forget about cutting grass, shoveling snow and all the other maintenance that goes with an individual home. The Pavilion in the Park has wide elegant hallways separate entertaining area for your lavish parties or maybe use it for a family gathering. This beautiful area comes with a grand piano and access to terraces for inside and outside entertaining. The spacious living area, has many bright window views and a custom built in buffet server with lots of room to display your finest collection. Enjoy the quiet retreat of your gigantic private patio with access to the beautiful wooded views. This is a very easy place to entertain, enjoy container gardening, entertain in style while enjoying the beautiful changing seasons. Spectacular views of the wooded hillside and lush landscaping from all 3 bedrooms, living room and dining room. The master suite has a jetted tub, separate walk in shower, dressing room, loads of storage, including two fitted walk in closets. Oh so spacious eat in kitchen with wall ovens, microwave, side by side refrigerator, instant hot and over sized window in the breakfast area to enjoy those outside views. Loads of storage....there are three pantries and many other built in cabinets. You have earned the right to enjoy the best! Call me 410-530-2400 to tour this elegant 2600 ' one level condo in the heart of Pikesville. 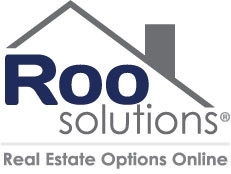 Hillary Gibbons has been in Real Estate for over 20 years and recently founded Roo Solutions (Real Estate Options Online), a service placing homeowners in direct and immediate contact with Real Estate and Contracting Specialists. Homeowners, at no cost and no obligation, can instantly review specific professionals in their area of need using "View Virtual Resumes" and/or post a need for service. This is a free service, easy to set up and create a "Virtual Resume" Go check out mine - Margaret Rome Then Check out Hillary's contest. To enter, simply Post a home “Need” on RooSolutions.com. One lucky individual will receive a professional House Cleaning from top to bottom!!! 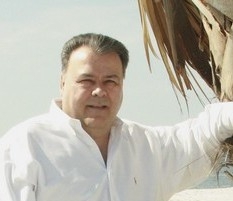 Jerry Hillyard is the Broker/Owner of Southern Coastal Realty LLC www.socorealty.net in Ocean Springs, Mississippi. I met Jerry this past weekend doing an impromptu open house. His girlfriend, who I sold a house to 20 years ago and recently sold it for her, called asking how to get a copy of my book Real Estate the Rome Way. She was in town and I replied..."Stop by the Open House"! What a delightful afternoon. Jerry and I spoke for several hours about real estate. Before he left, I made sure he had the gift of an ActiveRain invitation. Each one of these special professionals have received the gift of ActiveRain. I know Chip has received business from his association and I am sure that Jerry and Hillary will see benefits in the very near future. Please take time to welcome each of these new members. Tell 'em Margaret sent you. Make this a habit. Find a couple of members whose blogs you enjoy, subscribe to them, follow them and make comments on their posts. If you have a question...ask it. Pick up the phone and touch base with a member. It could be to say I enjoy your blog, it could be to say you have a misspelled word, it could be to congratulate someone for a featured post, it could be to say I will be in your city...let's get together. Recently wrote a post about a friend who is thinking of retiring to Florida but has no clue how or where or with whom to start. So I wrote this post..Attention Florida Brokers and Real Estate Agents...Who is Going to Help Me Find a Florida Home? The first is from 'The Other Margaret in Maryland" one of my favorite members...Margaret Woda. "Margaret, I understand where these folks are in their search. It has to start somewhere and, like many people, they really don't know where that should be. When you're contemplating retirement, you really do have the whole country to choose from... narrowing it down to Florida is a good start. A Florida agent who loves their area will reach out and share it with others, and their enthusiasm will be contagious." Margaret Woda got it! She understands that people retiring are not sure where they want to settle down. The second one... Connie Harvey also got it! Agents can start a line of referrals with other agents. Think of ALL the Realtors® in All the States....not just Maryland or Tennessee, who have clients in this situation. This is such an opportunity to show off our properties. Tell people why they should consider our area. I need to write another post..."Why move to Maryland?" Attention Florida Brokers and Real Estate Agents...Who is Going to Help Me Find a Florida Home? When this request came in today, I thought ActiveRain would be the best place to start. ''We will be leaving Baltimore and moving to Florida in the near future. Our plan is to purchase a home before we retire. Here's what we are looking for... A single family rancher with 3 bedrooms and 2 full baths. We have no interest in a pool but would like to be within 20 minutes of the beach, close to good hospitals, a fitness center, lots of good shopping, movies and close to a synagogue.
" Any suggestions who I would speak with?" Attention Florida Brokers and Real Estate Agents...who is going to help me find a home in Florida? Thinking Putty...Have You Tried It Yet? This has nothing to do with real estate, nothing to do with technology but it is an addictive product. You have to try Thinking Putty. In case you are somewhere and you can not use your iPhone or iPad or any other device...this is the sure thing to keep your hands occupied. Thinking Putty is like a silly putty but more for adults. It relieves (or gives) stress and may even spark some creative thoughts while keeping your hands busy and away from the computer. Watching and listening to my daughter, Erica, who has many of the 30 different colors that are available, I knew it was a matter of time before I had to try it. It can be pinched, pulled, stretched, rolled, bounced, sculpted, filled with air to make 'popping' sounds. Uh oh... almost did not write a post because I cannot put it down. If you like a good Caesar Salad..you have to try a Seafood Caesar at the Seaside Restaurant in Glen Burnie, Maryland. This is a luscious traditional Caesar with the addition of lump crab meat and jumbo shrimp. Can you say 'Yummy' ? Expect delightful service and lots of sports memorabilia. I counted seven TV's in just the Bar area. When I could not find the right arrangement for the Thanksgiving table I made my own with a few different kinds of flowers. Don't even know what the pretty large ones are. Do you? Hope everyone has lots of good food, lots of good friends and lots to be thankful for throughout the year. Fun At An Apple Workshop! Even though it is the Wednesday before Thanksgiving, I had signed up for a workshop at the Apple Store in Towson. With all the reports of heavy traffic and accidents etc..I thought a 5:00 class is not the best idea. But it was already on my schedule and I kept the appointment. And am I glad!! The entire workshop consisted of me and Shae and we had so much fun. One question after another I fired at Shae and she was answering them. How do you make ® on the iPad? ..can't. You have to copy and save and then paste it. Someone tell my why? In between my questions, Shae continued to give me pointers and show useful and fun things on the iPad. While there Lindsay, who helped me a couple of weeks ago was in the store with her adorable daughter. I asked permission to take her picture and she posed. What a cutie! Arriving home, I notice a couple of comments from William Johnson on ''my post'' which consisted of three letters in its entirety! Yep, you guessed it, I was playing with the AR blog at the workshop. Even though it said 'draft' it went public. Sorry Mr. Johnson for being the cause of your 50 point loss. The post and your comments have been deleted. To sign up for these workshops....go to apple.com, find your store and make a reservation...pretty simple. There is one called "Getting Started with iPad and iPhone and another "Going Further with iPad and iPhone. There might be 10-15 people in these sessions or you may just luck out and no one else shows up. I am told this is not likely but it happened for me! More Than How Many Bedrooms and How Many Baths! A Unique Contemporary! This contemporary has 3 bedrooms on the main level and another master bedroom and possible 5th bedroom in the lower level. It also has 3 full baths. But... this home is so much more than how many bedrooms and how many baths. Take a look at some of the unique features showing this home is definitely not a Cloneonial! Tremendous light throughout the multitude of windows. Read more about this contemporary home located at 2301 Velvet Ridge Dr in the 21117 zip code of Baltimore County. Make a Few Friends Jealous! More Than How Many Bedrooms and How Many Baths! A Unique Contemporary located at 2301 Velvet Valley Way! Being a Solo Broker With a Team. Can you be successful in real estate if you don't have – or are not part of – a team? The answer is of course…provided you can call on a team. What's the difference? Many people in real estate hear "team" and think of the big company, agents within a team or a group of real estate agents who work for a mega Agent. I am a solo broker owner and love the way I work. That does not mean my sellers lack for any of the advantages of a team. At any point in the process, I can call in other professionals chosen for their quality of work and service. Whether it's a mortgage broker, contractor, appraiser, electrician, home inspector, stager, or real estate attorney... there is an expert ready to meet the needs of my buyers and sellers. After a few years in the real estate profession, you learn who you can trust to treat your clients exactly as you would. These professionals will do everything they can to be sure we all get referrals and thank you notes when the deal is done. Buyers and sellers need a team of professionals to help with real estate transactions. But that doesn't mean they always need a team of agents. What they need – and what they get from me – personal attention. I take on a limited number of listings and have always had a waiting list. This is how I can make everyone feel special. As a Broker and listing agent, I make all my appointments and contact my sellers, preferring fewer transactions and a higher level of service. I frequently turn down listings making room for better listings. I am available to answer their questions. But since my clients come by referral, they already know how I work. 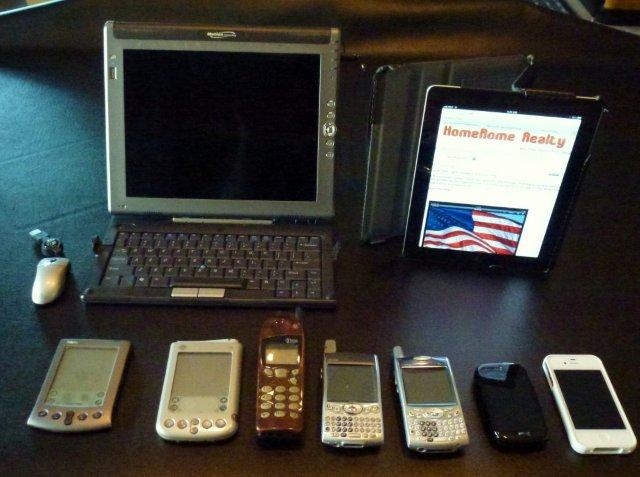 I've Come a Long Way...Baby! This week I was interviewed about my use of technology. While getting ready for the phone call, I took this photo. Guess I have come a long way over the years. Please give me a call to see this unique contemporary home. Since I have several showings scheduled, I am going to do an impromptu open house. Agents please stop by or feel free to send your buyers. Give me a call and you will be honored. How would you like to live in this open floor plan with lots of privacy? Swim all year! Spectacular contemporary on wooded lot with indoor swimming pool, sauna and hot tub The first floor Family room has 2 way fireplace opening into the living room. Notice the tile floors, the wood floors, the high wood ceilings and lots of glass and French doors to allow the outdoors come inside. One floor living with no steps, the master suite and luxury bath plus two other bedrooms are on the first floor, along with the 2 car garage, laundry and loads of storage. Wooded lot with circular drive is a pleasure to drive up to. The heated vestibule makes a perfect mud room and place for all your deliveries when you might not be at home. Full lower level with has another master bedroom and bath, huge tiled floored room for entertaining, plus this unique indoor swimming pool. Whether you need the pool for therapy, entertaining or for morning laps, you will have the use year round. Swim for health and swim for beauty! In addition, this home also has a sauna and an outdoor hot tub! Unique Contemporary With Indoor Pool! Swimming With Icicles.. My Fountain of Youth! Hot Fudge Sundae the Rome Way! This is a hot fudge sundae the Rome Way! The Women's Council of Realtors® met this week at the Suburban Country Club. Everyone knows they serve the very best fixings for a hot fudge sundae! There is a special way to make and eat this delicious dessert. I will tell you how to make a hot fudge sundae the Rome Way. It will be easier to explain with this picture. The secret is two separate containers....the hot fudge is poured into one dish, the ice cream in another. If you choose to do it the Rome Way, your hot fudge stays really warm with each luscious bite and the ice cream stays really cold. You can eat it slowly and enjoy each decadent bite. Today I Was the Flag! Yes, You read that right. Today I was the flag. At the WCR luncheon today, the time came for the Pledge of Allegiance but there was no flag. Not to worry. With all the technology around, I quickly googled an image of the American Flag on my iPad, took a screen shot and held it up. Today, I was the flag! Women's Council of Realtors® is a wonderful group and today's program was titled: "Meet the Pros-Title Tidbits"
At the WCR luncheon today, the time came for the Pledge of Allegiance but there was no flag. Not to worry with all the technology around. I quickly googled an image of the American Flag on my iPad, took a screen shot and held it up. The Duchess, the King and the Baltimore Connection. Today at The Lecture Group we listened to Zippy Larson speak about her favorite subject... The Duchess, the King and the Baltimore Connection. Zippy has done so much research and has a wealth of information...enough to fill a semester, or two. The Smithsonian Institution Resident Associates asked her to research the Baltimore years of Wallis Warfield Simpson and devise a tour especially for them focusing on King Edward and Mrs Simpson in Baltimore. From this tour she started lecturing on the subject. Zippy spoke from A-Z and "almost" wrapped it up in an hour. Her enthusiasm, on the subject of the King who abdicated, was contagious and fun. When King Edward VIII gave up his throne to marry an American, his choice nearly brought the British Empire to its knees. If you have a chance to hear Zippy, please don't miss it. After the session I went up to congratulate her on doing such a fine job. Zippy asked me write something down for her. The delightful Celeste Pushkin, a Realtor® with Long & Foster, was reciting a song she sang as a young girl jumping rope.
" New York girls are beautiful. To win King Edward's heart." That little girl song from a few years back summed up Zippy's talk . Today I went to a NAWBO meeting at the Rolling Road Golf Club in Baltimore. Having been a member of the National Association of Women Business Owners for about 2 dozen years, it was fun going to a meeting to see how the group has changed. When I went regularly, I knew everyone. Today the faces were new to me but I still saw that same enthusiasm from these young entrepreneurs. The speaker was Joanne M. Saltzberg CEO of WEB..Women Entrepreneurs of Baltimore. Active Rain Success Story: A Refreshing Eagle Experience in The Rain!